These three-panel freestanding exhibits are designed for use in libraries or schools and are rented at no cost. The exhibit stands at 8 feet tall and requires floor space of approximately 6 ft. X 4ft. Panels are easy to assemble, and easy to take down. Panels are available for one-month loan and are available on a first-come, first-serve basis. 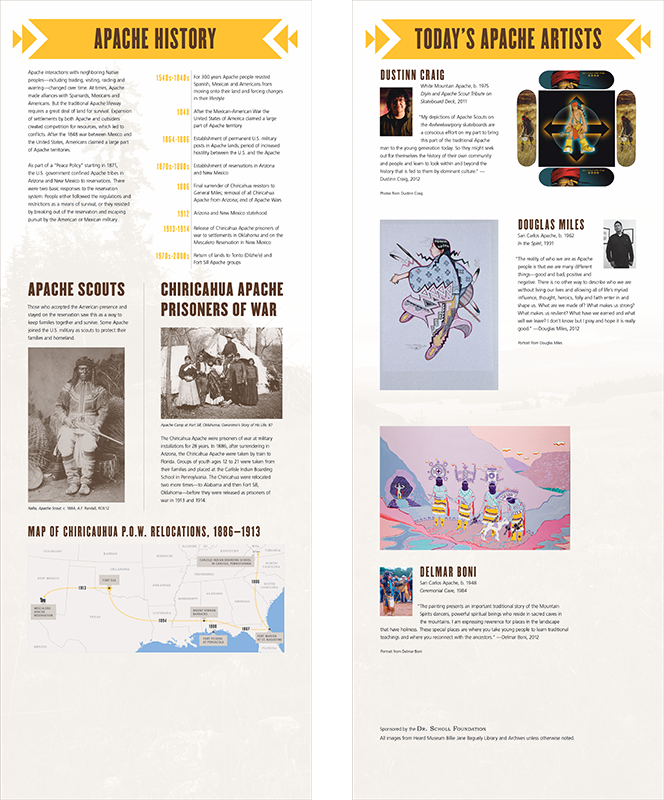 Exhibits include: Remembering Our Indian School Days: The Boarding School Experience, and Who Are the Apache. 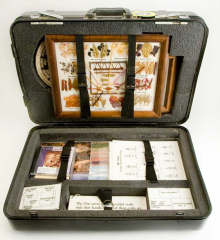 Two cases (one large and one small) are filled with artifacts, photographs and text that can be used to create a museum display in the classroom. Rental fee for the suitcases is $35 per kit for a two-week loan. Suitcase exhibit topics include: Navajo, Hopi, and Tohono O’odham. Please fill out the form below to request a traveling panels or suitcase exhibit. How many students do you project will interact with these materials while they are in your classroom/ organization? Panels are free but rental fee for the suitcases is $35 per kit for a two-week loan.